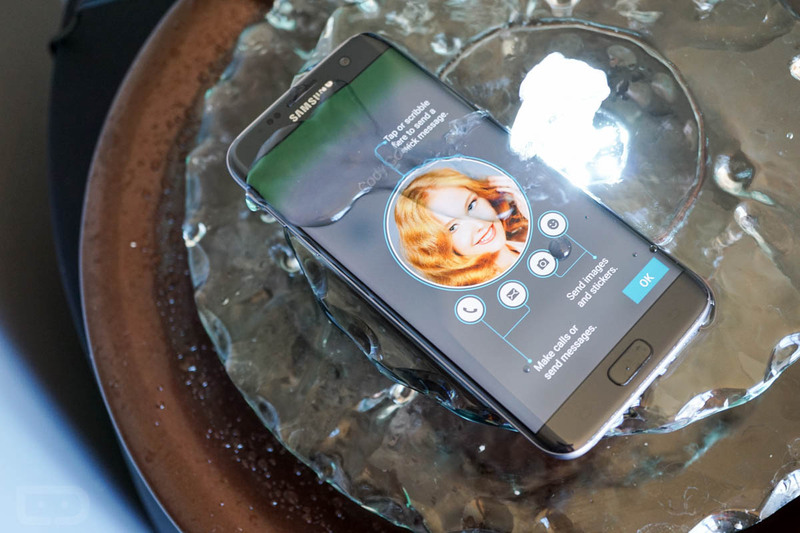 What’s that, you wanted water resistance in the next Galaxy? 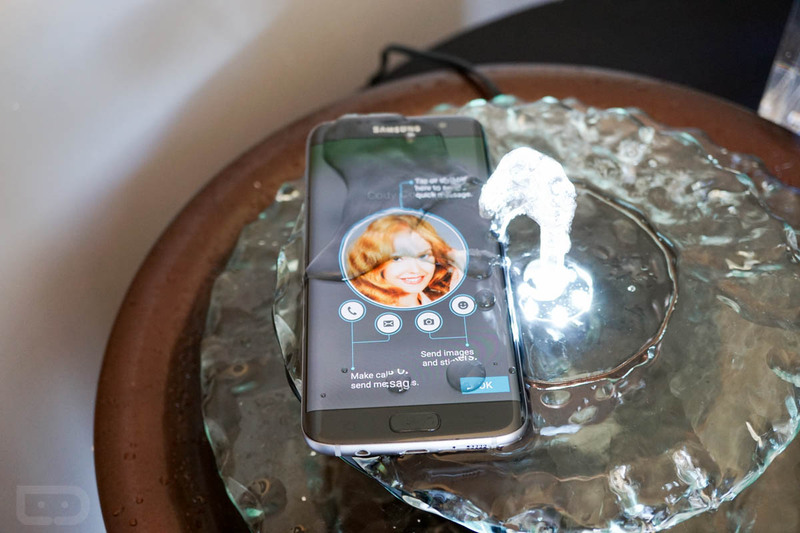 Samsung has given it to you at an IP68 rating for both the Galaxy S7 and Galaxy S7 Edge. 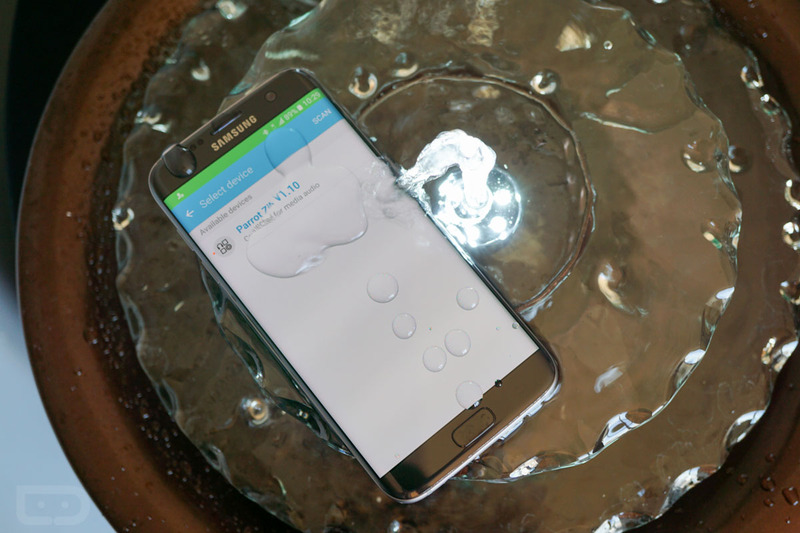 At IP68, the phones are dust tight and can be fully immersed in water for a short amount of time. That means you can drop them in a shallow pool, bath tub, or toilet, and even wash them off under a faucet if they were to get filthy. That’s certainly a big change from last year’s S6 line-up to this year’s S7 line-up. 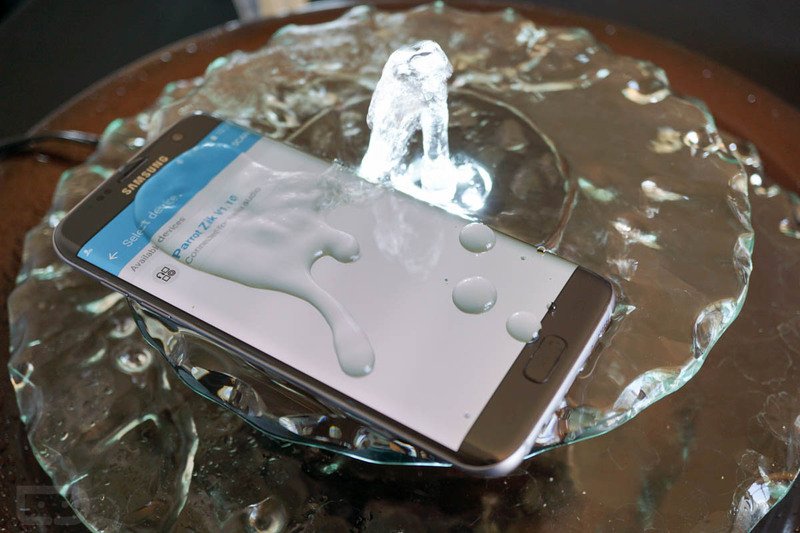 To show all of that off, we tossed an S7 Edge into a fountain during a hands-on meeting today with Samsung…just because. 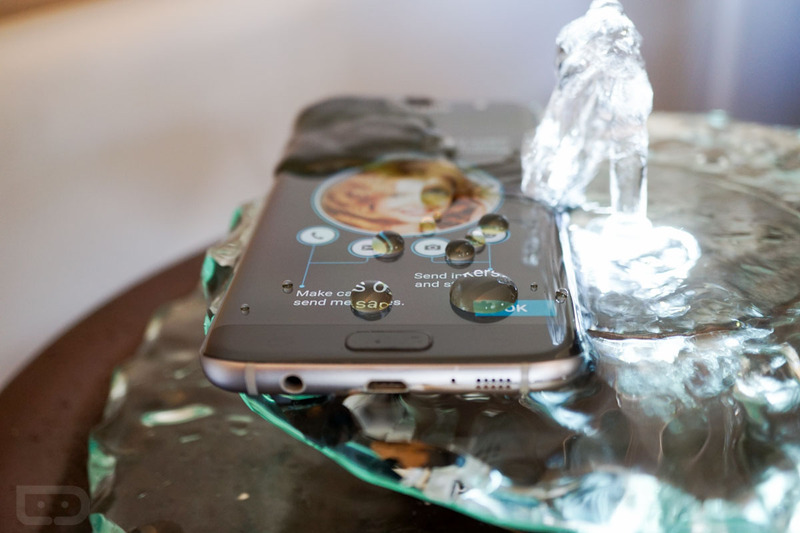 Well, because phones working in a puddle of water look neat.